Pony Car Racing - Pony Craft Unicorn is an exciting, exhilarating,high octane FREE endless driving racing game for Girls and Boys ofall ages. Specifically designed for children and families who wantto unlock and play as the coolest Pony Horse Care - Pony CraftUnicorn drivers in the most exciting racing cars! 🐴 Pony Car Racing- Pony Craft Unicorn Features 🏁 - Race, Jump, boost and drift pastobstacles in the city! - Drive over massive ramps and performawesome racing stunts - Unlock a total of 8 different Pony drivers!- Race in 10 different cars! - Equip the daredevil helmet to smashright through obstacles - Collect exciting boosts for your car tohelp you reach the highscore - Upgrade the boosts for your vehiclewith coins in the shop! - Come back to race each day and unlockexclusive rewards - Amazing 3D graphics - Regular FREE updates withnew cars and ponies! Drift around obstacles, boost past corners andrace to the finish line with your favourite Pony Unicorns in PonyCar Racing - Pony Craft Unicorn, an exciting endless racingsimulator game. Experience realistic acceleration as your PonyUnicorn Driving Car becomes faster as you race for longer. Thismeans that Pony Car Racing only gets more and more exciting as youduck, spin and drift around a variety of obstacles such as piles oftyres, petrol pumps and even traffic! Will you be able to race tovictory through the city streets? Be sure to collect as many coinsas possible in this pony driving simulator game as you race throughthe streets, and even receive bonus coins for performing awesomestunts! The city is full of massive ramps for you to launch off,and both awesome stunts and bonus coins are waiting for you in thesky. Control your turbo horse racing car as you glide through theair avoiding traffic on the streets and try to collect as manybonus coins as you can before you land. Pony Car Racing - PonyCraft Unicorn not only features fast unicorn race cars, but alsoextra boosts for those fast race cars! Collect as many boosts asyou can so that you can perform even cooler stunts such as flippingyour car in the air as you jump over street signs. Become the bestpony driver today. Street racing has never been so exhilarating!Being a stunt race driver is dangerous, and it is important to keepyour Pony driver safe in Pony Car Racing! Collect or spend coins topurchase daredevil helmets for your pony driver, and use these tokeep on racing and driving even after crashing! Don’t forget topack as many helmets as you can if you are aiming to reach thehighscore. Racing coins are awesome! And this is why there are somany to collect in Pony Car Racing. Be sure to visit the shop aftereach race to unlock new ponies, new cars and even new paint stylesfor your car! There is always something new to spend your coins on.As well as vehicles, you can improve your current cars by upgradingyour boosts, this will cause your boosts to last longer or have amore potent effect. Will you be able to unlock everything,including the fastest car on the streets - the Turbo GT? Be sure tocome back and race in this driving simulator everyday so that youcan unlock the exclusive and awesome daily rewards. These will helpto ensure that you are the first Pony Unicorn to reach the finishline! Pony Car Racing - Pony Craft Unicorn has been carefullydesigned for boys, girls and families to have ultimate fun! Pleaserate us for future improvements and updates! Invite your friends toplay the cute, magical, addictive games designed for Girls &Boys of all ages created by Green Tea Games and challenge them tobeat your highest score! Visit our official site atwww.GreenTeaGames.com Follow us on Twitter atTwitter.com/GreenTeaGames Or like us on Facebook atFacebook.com/GreenTeaGames to get more info about all our upcomingtitles. Do you like online car racing games? If yes then welcome toCarracing Legend 2018 game where you can race against friendsorrandom offline racing rivals! Hit the pedal to takedowntherelentless car racing competition. To become a fearlessracer,maintain the perfect balance between power and grip. FastSpeed iseverything that you need. Drive supercars against liveplayersacross the world or compete against offline racing cars andwin theracing championship to get on top. A fun game withoutpressure andstress. An enjoyable driving simulation game where youcan actuallyrush with live racers around the world. This new racinggame 2018also offers offline racing games to play all day. Thereare variousrace modes for Car racing Legend 2018 game. Real-timeMultiplayerRacing Game Mode: Live races include; racing againstreal-lifeplayers. Chase and compete against fast car racers fromaround theworld in real-time online challenges. Prove your drivingskills infast-paced, multiplayer races. Join the live race toimprovecompetitive seasonal rankings. Offline Car Racing Game Mode:Becomethe fastest racer of all times! Speed is everything in thismode,Win the supercar race against the AI cars. To avoid any crashorlose you must take tricky turns and blast through the obstacleinthe racing zone. Online Last Man Elimination Mode: Either you arealegend Racing king, or you're nobody. Jump right intoanotheronline race without waiting and outplay opponents toultimately becrowned as the Last Man Champion on impossible racertracks. Thecar at last position will be eliminated after regulartimeintervals. Offline Racing Car Time Trial Mode: Beat yourbestracing time in time trial mode. Upgrade the car's turbo tomasterthe unique timing of each car to come out on top. VehicleUpgradesand Customizations: For every win, you earn coins, cash,and keysto buy items, have another sports car, bet against theotheroffline AI opponent for a race, or just save what is earned togetwhat one wants for cars to win races. To get fast speedsupercarsto upgrade your car's acceleration, handling, and NitroBoost. Theworld-class car customization also includes the tirerims, brakecontrols and gear capabilities to boost the car'sperformance. Car Racing 2018 brings you the impossible racer tracks! Jump intoyour cars and get ready for the races of a lifetime. Change thegear, accelerate to the highest speeds to zoom past your opponentsand land in the top spot. Watch out for tricky turns and obstacleson your way, or you may crash and lose the races. Master the uniquetiming of each racecar to come out on top. This racer game lets yousatisfy the need for speed and find the right balance between powerand grip. In this realistic and engaging drag racer experience, usemaximum power and set the engine to provide full power at each gearto boost the car's performance. Indulge your passion for races inthe most amazing cars on the planet. Download the ultimate racegame for free, start your supercar collection. Ready, Set, Go! CarRacing 2018 game play with features : - Free to Play! 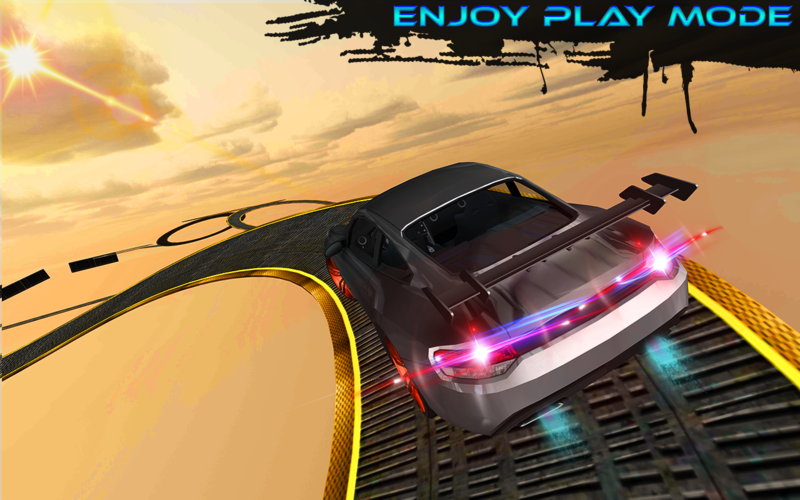 - Tons ofAmazing Cars - Amazing 3D Environment - Stadium with fast racetracks - Challenge your facebook friends - Simple and intuitivebike driving controls - Fun Unlimited Races How to Play Car Racing2018:- Tap the phone/tablet on right side to drive / brake. Tap onleft to control steering. City Drift Legends! Just enjoy the fun of the purest racing game.Exquisite game graphics and simple operation will bring players thebest gaming experience. Testing your limited drifting skills on thecomplex curves of the track! Game features: * A variety of awesomeclassic racing cars for you to choose-class C, class B,class A. Youcan even unlock class S! Players can freely view 3D models ofvarious racing cars in the garage. * Various classic game modessuch as regular racing, time knockouts, championships, etc. * Thebest car experience- Exquisite game scenery, dynamic music, coollighting, etc. * No Wi-Fi, no problem! You can play it anytime,anywhere. * Multiple exciting tracks for players to choose from,the simple beachfront track andcomplex city track can fully testthe player's racing ability. * Conquer all the tracks, get thelegendary badge and become the king of racing Gameplay: The vehiclecan move automatically. Press the left and right buttons to controlthe direction. The brake button controls the speed, and the Nitrobutton is used to boost Nitro racing. Tap the direction keys andthe brake simultaneously to carry out drifting. Are you ready tochallenge the racing tracks around the world?! Come join thisexciting car racing game! Challenge the limits of operation, andstrive to be the king of racing!